Need a Valentine’s Day gift for your sweetheart? I found a few items that might just be perfect for your sweetie with the sweet tooth. Warning most of these gifts are pricey, but hey nothing says I love you more than quality baked goods haha. 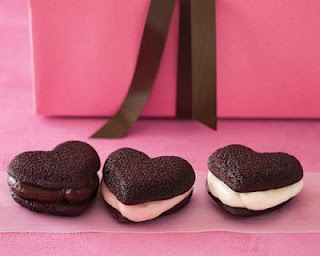 Sweetie Pies – from Williams Sonoma, 12 for $49, These Valentine’s Day version of whoopee pies are filled with creamy buttercream in three delicious flavors – chocolate, raspberry and vanilla. 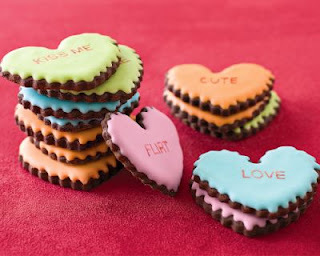 Message Cookies - from Williams Sonoma, $22 for 9 cookies, These cookies are very cute and definitely a step up from your normal conversation hearts. 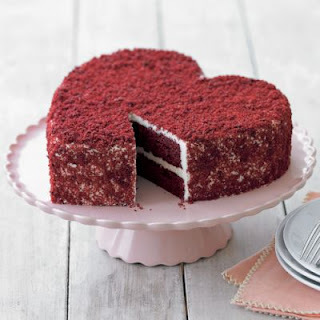 Perfect Ending’s Heart Red Velvet Cake – $68, Lovely red velvet cake from the same bakery that Eva Longoria ordered her wedding cake from. If it’s good enough for Eva, it’s good enough for me! 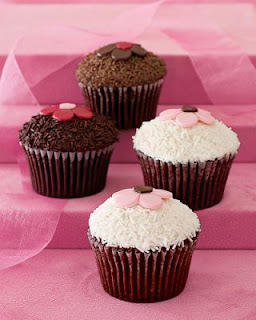 Perfect Endings’ Valentine Cupcakes -9 for $69, You get 3 of each: Red velvet, rich chocolate, and chocolate caramel cupcakes. I really want to try these cupcakes since Oprah keeps raving about them and they are on her all-time favorite list. Glitter Heart & Box - from Dean & Deluca, $125 -This very expensive and completely edible gift is amazing! 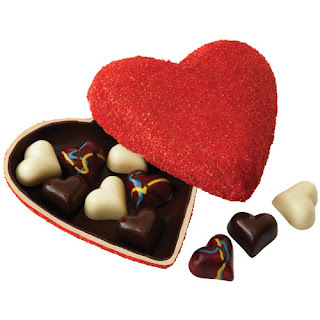 The chocolate heart box is made with a white chocolate coating that is covered with layers of shimmering edible glitter. Inside you’ll find nine chocolate truffles, three of each; White Chocolate Caramel, and Dark Chocolate with Caramel and hand painted Framboise.